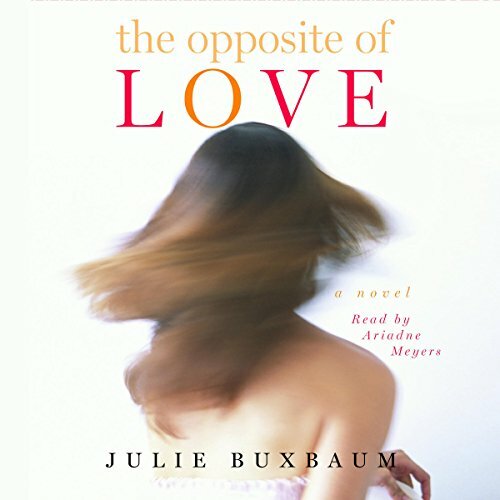 With perfect pitch for the humor and heartbreak of everyday life, Julie Buxbaum has fashioned a heroine who will be instantly recognizable to anyone who has loved and lost and loved again. When successful 29-year-old Manhattan attorney Emily Haxby ends her happy relationship just as her boyfriend is on the verge of proposing, she can't explain to even her closest friends why she did it. Somewhere beneath her sense of fun, her bravado, and her independent exterior, Emily knows that her breakup with Andrew has less to do with him and more to do with....her. "You're your own worst enemy," her best friend Jess tells her. "It's like you get pleasure out of breaking your own heart." As the holiday season looms, and Emily contemplates whether she made a huge mistake, the rest of her world begins to unravel: she is assigned to a multimillion-dollar lawsuit for which she must defend the very values she detests by a boss who can't keep his hands to himself; her Grandpa Jack, a charming, feisty octogenarian and the person she cares most about in the world, is losing it, while her emotionally distant father has left her to cope with this alone; and underneath it all, fading memories of her deceased mother continue to remind her that love doesn't last forever. How this brave, original young heroine finally decides to take control of her life and face the fears that have long haunted her is the great achievement of Julie Buxbaum's marvelous first novel. Written with the authority, grace, and wisdom of an author far beyond her years, The Opposite of Love heralds the debut of a remarkable talent in contemporary fiction. ©2008 Julie Buxbaum (P)2008 Random House, Inc.